(CNN) – If you read a sentence (such as this one) about kicking a ball, neurons related to the motor function of your leg and foot will be activated in your brain. Similarly, if you talk about cooking garlic, neurons associated with smelling will fire up. Since it is almost impossible to do or think about anything without using language — whether this entails an internal talk-through by your inner voice or following a set of written instructions — language pervades our brains and our lives like no other skill. More recent findings show that words are associated with different regions of the brain according to their subject or meaning. Neurologists aiming to make a three-dimensional atlas of words in the brain scanned the brains of people while they listened to several hours of radio. Different words triggered different parts of the brain, and the results show a broad agreement on which brain regions are associated with which word meanings — although just a handful of people were scanned for the study. Those taking part were all native English speakers listening to English. The next step will be to see where meaning is located for people listening in other languages — previous research suggests words of the same meaning in different languages cluster together in the same region — and for bilinguals. Bilingual people seem to have different neural pathways for their two languages, and both are active when either language is used. As a result, bilinguals are continuously suppressing one of their languages — subconsciously — in order to focus and process the relevant one. So whether we “lose” a language through not speaking it or through aphasia, it may still be there in our minds, which raises the prospect of using technology to untangle the brain’s intimate nests of words, thoughts and ideas, even in people who can’t physically speak. 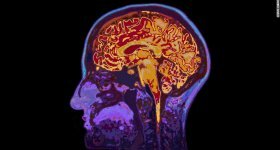 Neurologists are already having some success: one device can eavesdrop on your inner voice as you read in your head, another lets you control a cursor with your mind, while another even allows for remote control of another person’s movements through brain-to-brain contact over the internet, bypassing the need for language altogether. For some people, such as those with locked-in syndrome or motor neuron disease, bypassing speech problems to access and retrieve their mind’s language directly would be truly transformative. This article first appeared on Mosaic and stems from the longer feature: Why being bilingual helps keep your brain fit.